20 x resin airframe pieces, 2 x acetate canopies and decals for one subject. Hannants for £12.34 and Squadron for US$26.99. It should also be available from these CMR distributors. Simple and quick to build. An attractive subject and simple kit produced to very high standards. A good first kit for newcomers to resin construction. This subject is one I must admit to having really struggled to find any really useful information to share with Hyperscalers. I assume that the Schleicher Sperber (Sparrow Hawk) Senior was a follow-on design from the Sperber Junior (CMR kit # G5004), of which a one-off example was built specifically to fit the small frame of Hanna Reich. 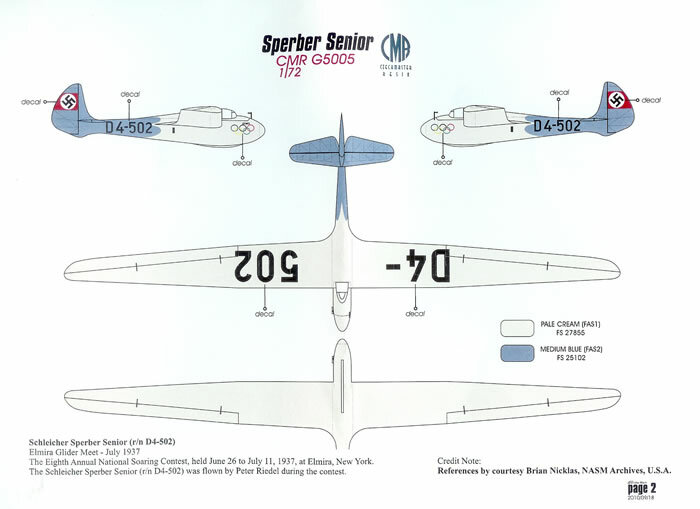 But the only thing I can be sure of is that the Sperber Senior was flown at the eighth annual National Soaring Contest, held June 26th to July 11th, 1937 at Elmira, New York, and that Peter Riedel was the pilot during the contest. 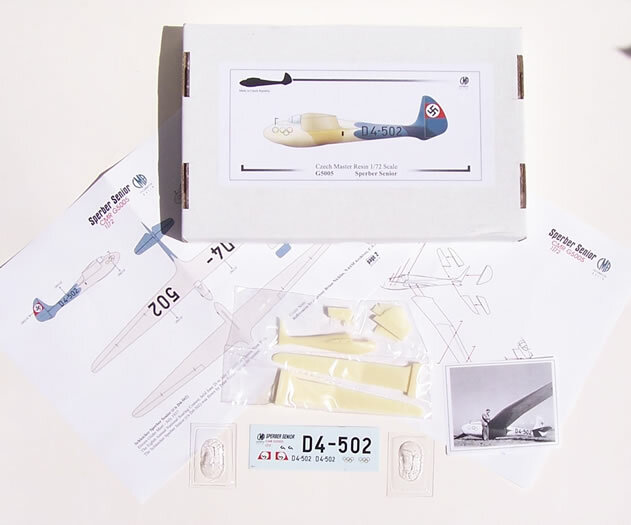 CMR is to the best of my knowledge the leading producer of glider kits in 1/72 scale with over 30 military and civilian glider kits currently listed on their website. The kit reviewed here not a re-issue of earlier CMR Sperber Senior (CMR kit # G7205), but a completely new tooling. This is because CMR has become aware of better and more accurate information and plans concerning the original glider. It is commendable that CMR is prepared to retool based on better information as it comes to hand (I recall they did the same a while back with their Irbitis I-16 kit). 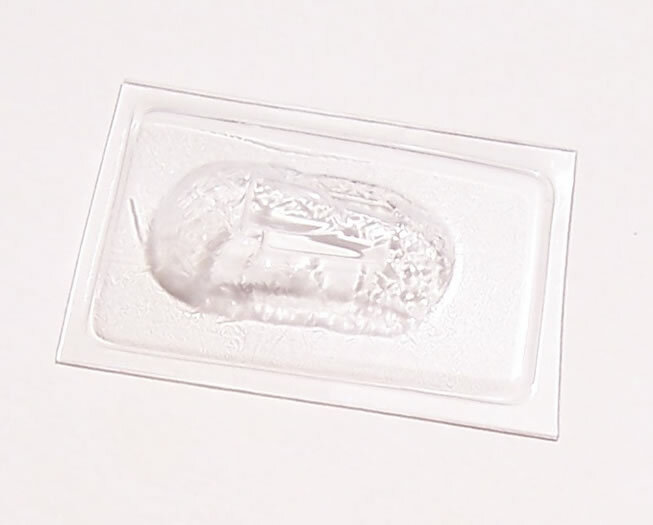 The kit comes in a sturdy top-opening box, and all parts are in heat-sealed plastic bags. Scale plans double as a colours and markings guide, and clear simple assembly diagrams are provided to aid construction. The parts are very well cast and two canopies are provided allowing for practice fitting or insurance. 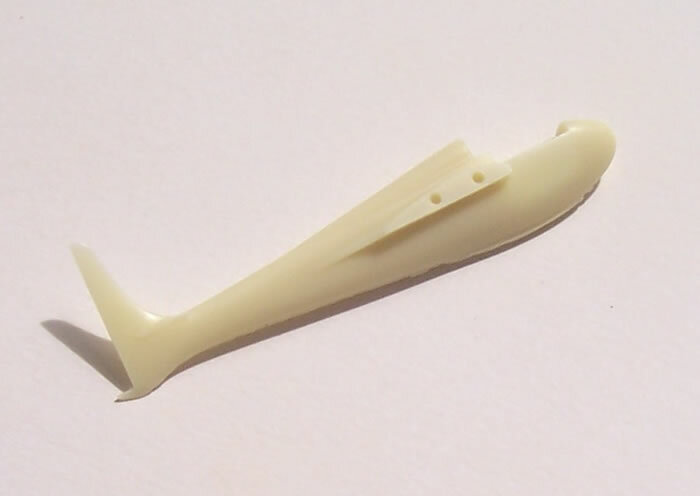 The kit’s simplicity and low parts count means that the airframe should be a breeze to build. 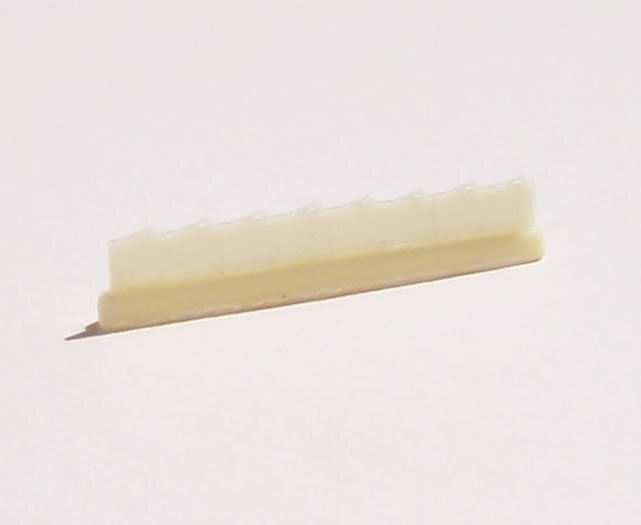 The casting blocks are very thin where they attach to parts, and only minimal clean up is required. 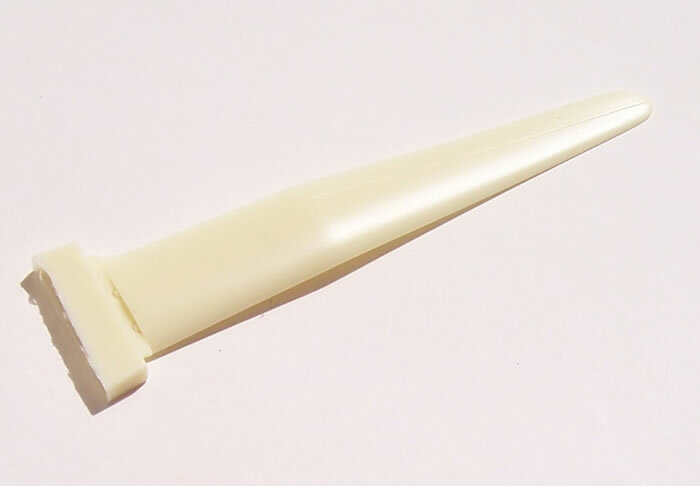 I have found with CMR glider kits of this size that no wing-root reinforcement is needed, but some may wish to play it safe and add some. 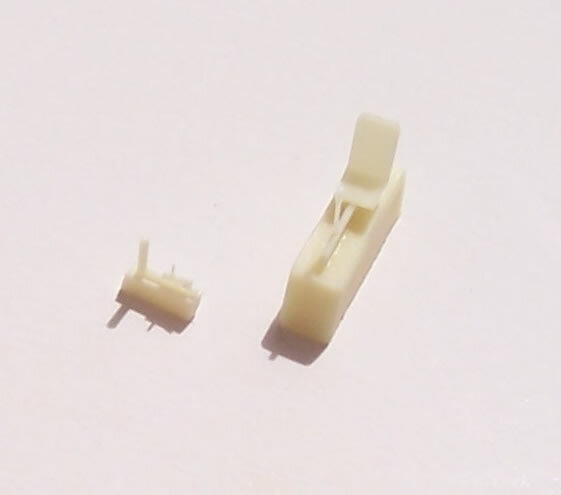 Unlike some previous CMR glider kits, the rudder and elevators are provided as separate items. The single decal option is for a colourful machine as used at the 1937 Elmira meet mentioned earlier for which a small printed image is provided with the kit. 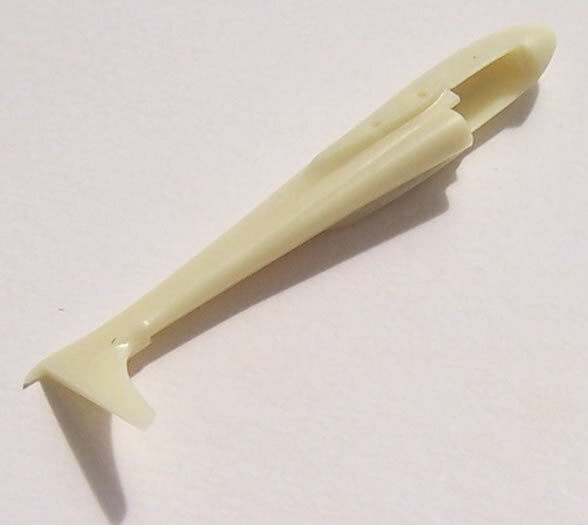 This is a very simple kit and should be quick to complete. The colour scheme alone is enough to make this a very attractive addition to any modelling cabinet - Recommended. Thanks to Czech Master Resin for the review sample.